On August 22 the planetary power shifted from the East to the West of the Horoscope, from the sector of the self to the social sector, the sector of other people. Thus there is a psychological shift happening. You are forced to cultivate your social skills now: personal ability is not that important, instead the likeability factor is vital. Success depends on others now. Hopefully you have created conditions as you desire them to be over the past months - now it is time to road test your creation. It is more difficult to create now, you have to adapt to existing conditions as best you can. From now until the end of the year make a note of conditions that are disturbing and need to be changed. When your next period of personal independence comes next year, you will be able to make these changes with more ease and less stress. Your career planet is still retrograde; most of the planets are still below the horizon of the chart and your 4th house of home and family is still powerful. All this is giving a very clear message. Like last month, keep the focus on the home and family and the emotional life. Keep working to build the interior conditions for success, to be emotionally ready for it. There are many positive career opportunities coming your way but don't jump into anything without doing more homework. Your instinct will tell you whether something is right or not. The career opportunity has to be 'emotionally comfortable' and family friendly. Health still needs watching until the 22nd, but afterwards improves tremendously. On the 22nd you enter another yearly personal pleasure peak. You will be working harder than usual, but in spite of this you will manage to have some fun. Geminis of childbearing age are in their most fertile period of the year. Last month, on the 16th, a rare Grand Square formed in the heavens. This Grand Square is in effect all of this month as well. You and perhaps your spouse, partner or current love could be involved in a major undertaking and are more stressed out than usual. If you are involved in legal matters they seem stressful and complicated now. Foreign travel is not advisable during this period, unless it is in the line of duty. Elective foreign travel is better off being re-scheduled. 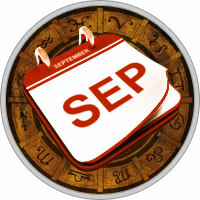 Prosperity is still happening this month - and next month will be even better. Your strongest earning period will be from the 5th to the 19th, as the Moon is waxing. This is when you have the greatest enthusiasm for financial matters. Love is more delicate after the 22nd. The beloved seems more stressed than usual and seems in disagreement with you. This is a short-term problem and will pass by the 29th.